Surprise that special someone with a caricature! Price includes consultation, working from a photo and delivery to you just in time! Shipping included in the price. Enlighten that cynical friend of yours by putting a smile on their face with a black and white with grey tones caricature. Price includes consultation, drawing from a photo and shipping to an address. Looking to stand out from your competitors? 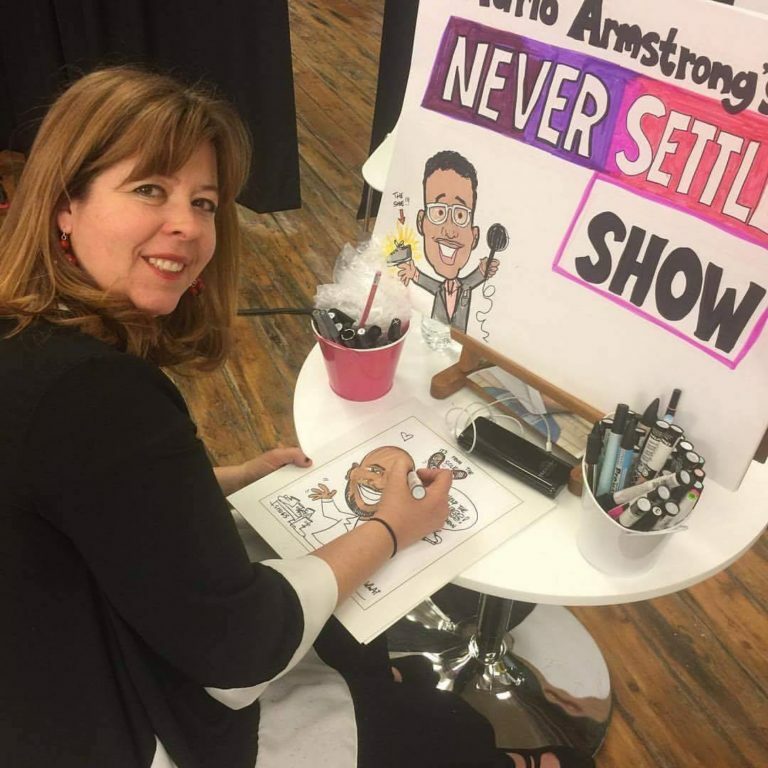 Have Cathy draw your caricature in a digitized format for your small business! Use for your website, business cards and letterhead. Pricing includes: consultation, three concept sketches, one tight rendering and digital file.